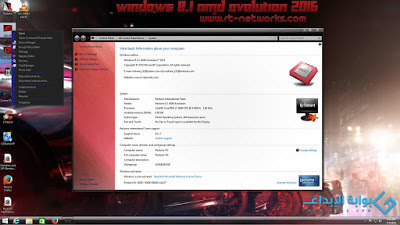 Note: Start a fresh installation from BIOS and install on a separate. Don't attempt to upgrade any of the previous windows to this release or upgrade this release to windows technical preview. 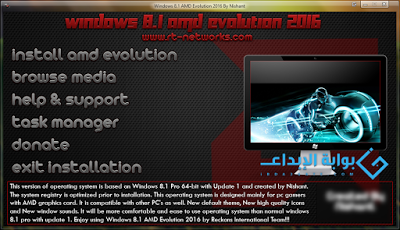 Note: The system files and images I created for Windows® 8.1 AMD Evolution™ 2016 x64 does not belong to any other person. * Windows will prevent cursors to change when using custom visual style. * Windows will prevent system icons to change when using custom visual style.